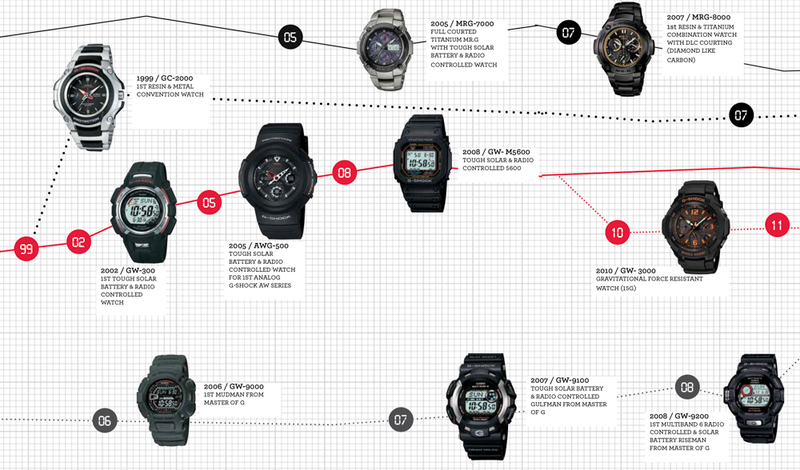 Engineer Kikuo Ibe was CASIO’s head of watch design at the time. 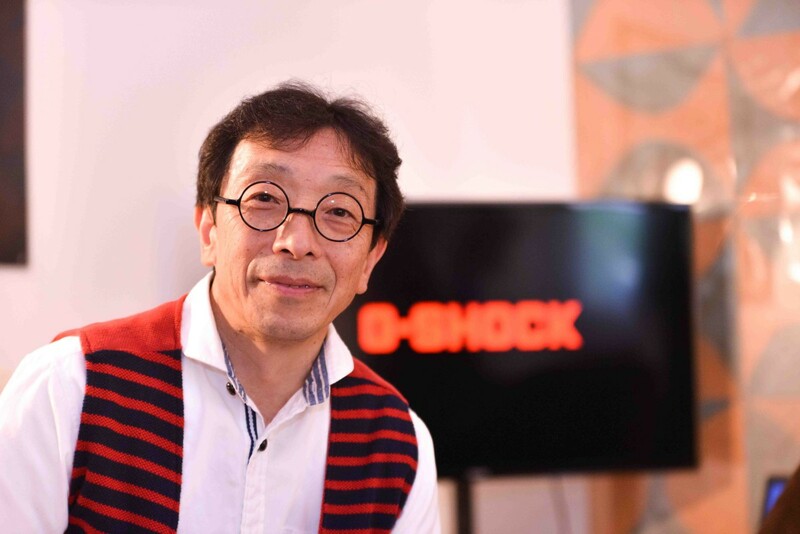 He formed Project Team Tough in 1981 with three other members to realise his vision. 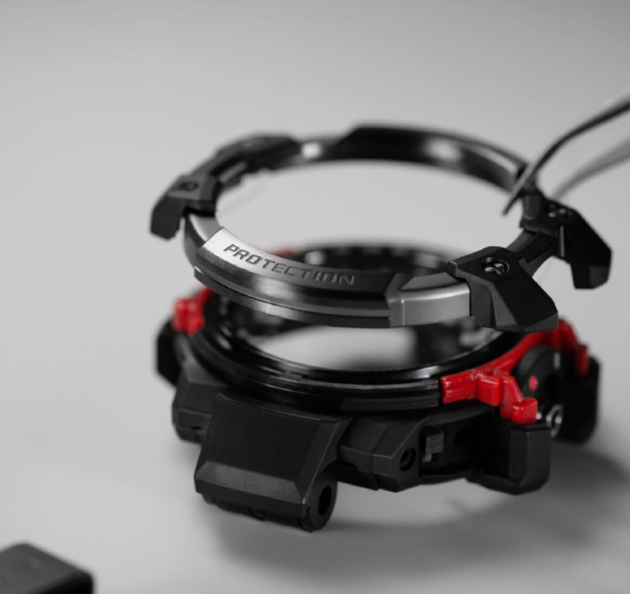 They began their efforts targeting a “Triple 10” concept: 10-metre dropping shock resistance, 10-bar water resistance and 10-year battery life. Achieving their target turned out to be unimaginably difficult. Exhausted both physically and mentally after months of hard work, they began to fear that the project was approaching a dead-end. It was just at this time that Ibe made a key break through whilst walking through a local park – some children were playing with a rubber ball and he suddenly realised that no impact was reaching the interior of the bouncing ball. 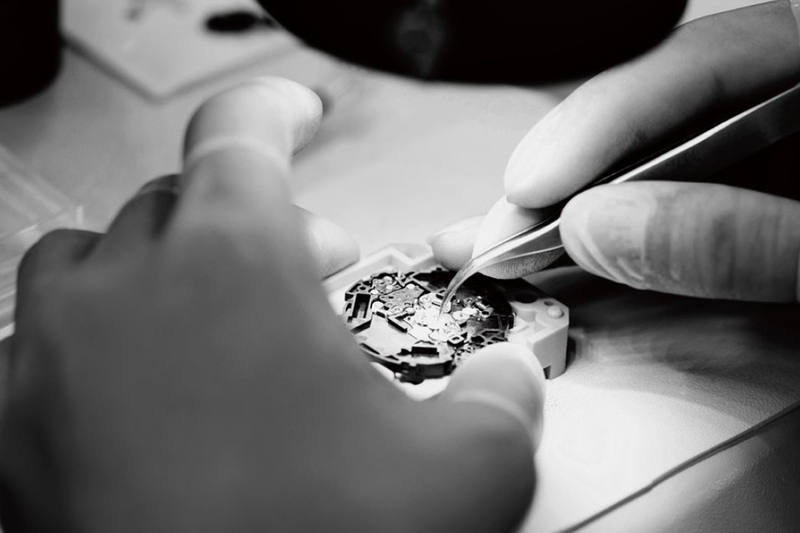 This observation led the team to develop a watch with a hollow structure and the module suspended inside. 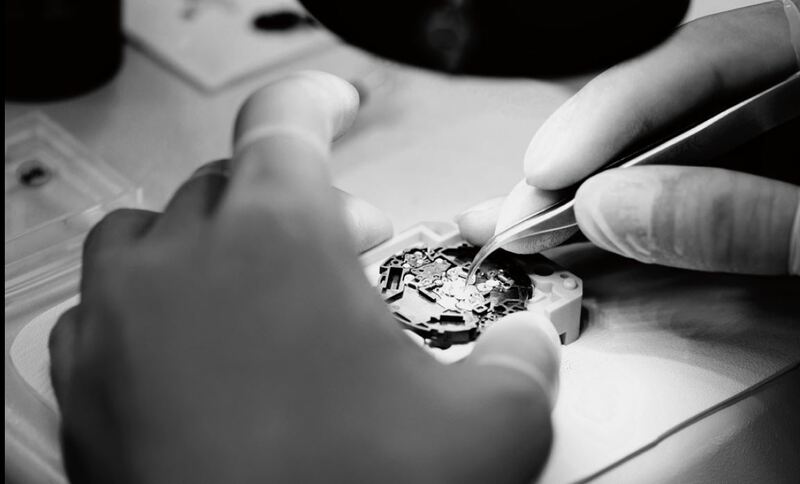 After more than 200 experimental prototypes had been produced, a shock-resistant structure was achieved. 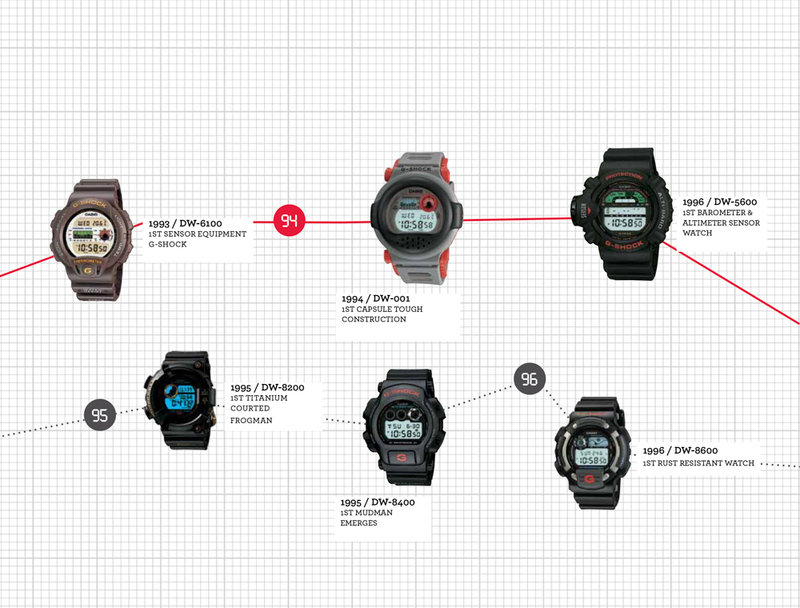 The first G-SHOCK, the DW-5000, was launched in 1983 some two years after the start of development. 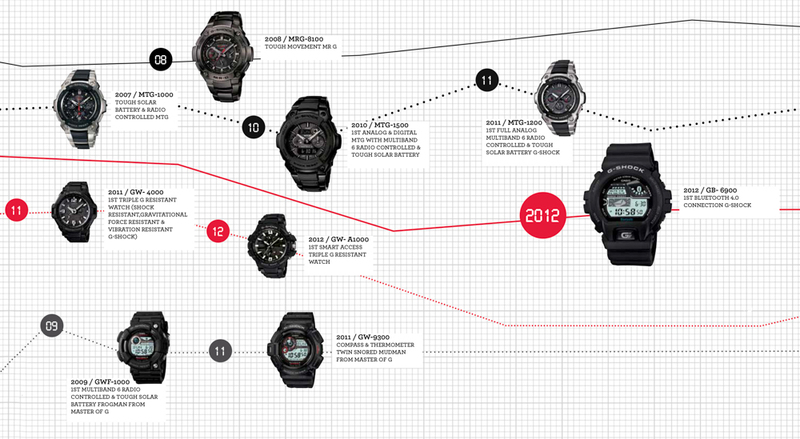 G-SHOCK has followed a path of unique evolution ever since, while continuing to retain their inherited internal structure. 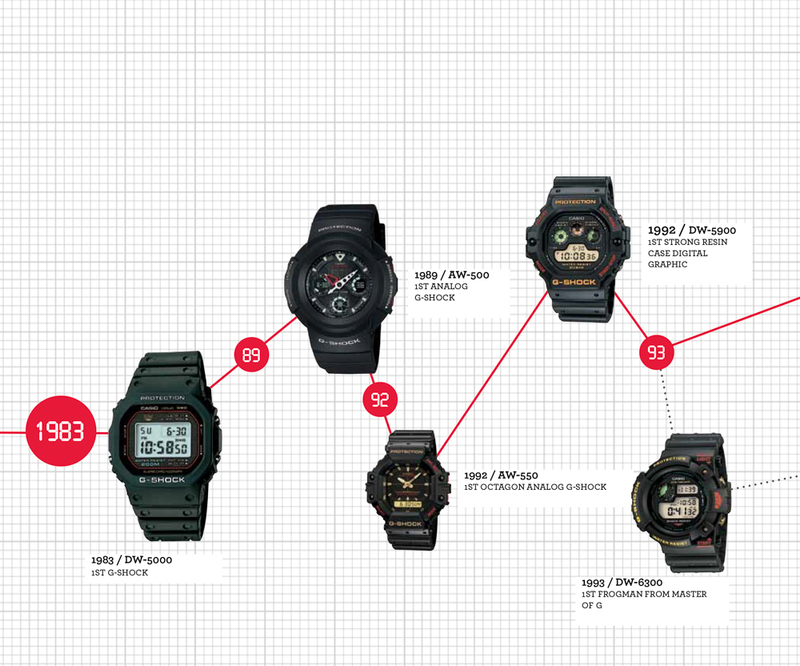 Its practicality was immediately recognised and its unique look, which embodied its functionality, became hugely popular resulting in explosive sales during the early 1990’s. 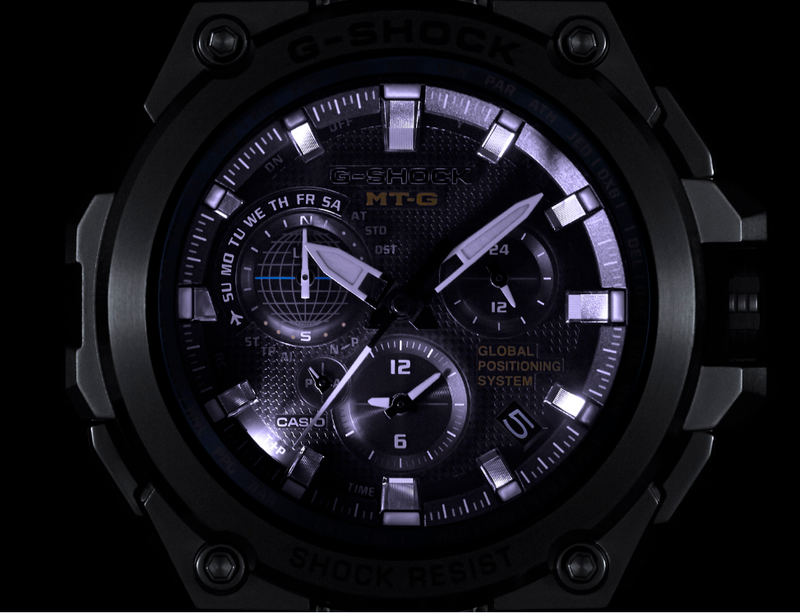 G-SHOCK watches soon adopted various new sensors, solar-powered radio controlled technology, and new materials for even better durability. 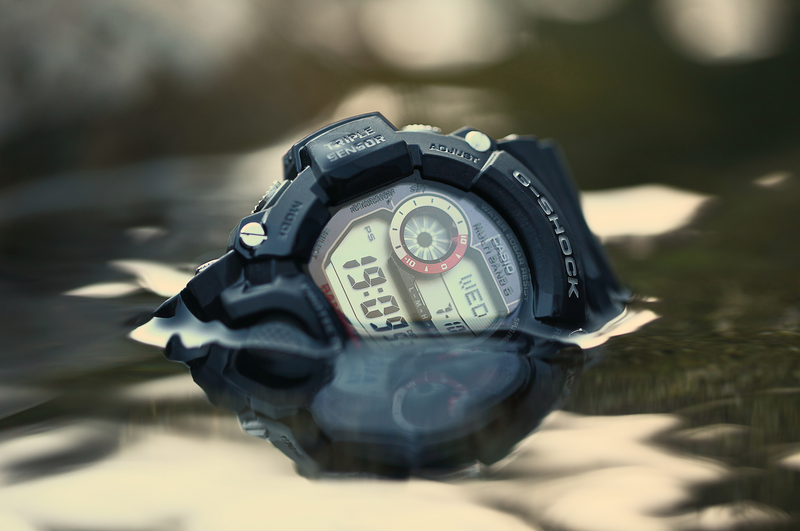 By always employing the latest technology, and continuing to transcend conventional thinking about the watch, the G-SHOCK brand has become Casio’s flagship timepiece product. 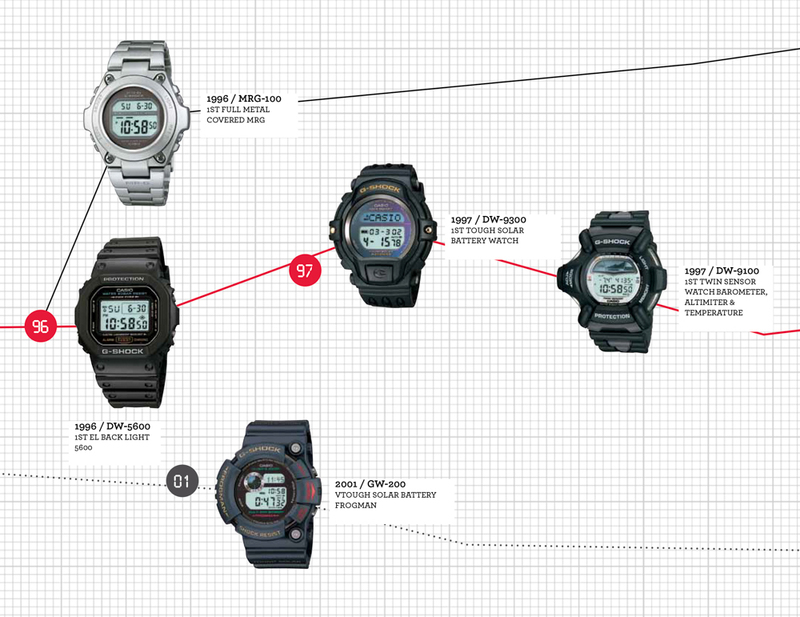 The latest range of CASIO G-SHOCK watches are available online and in selected size? stores.